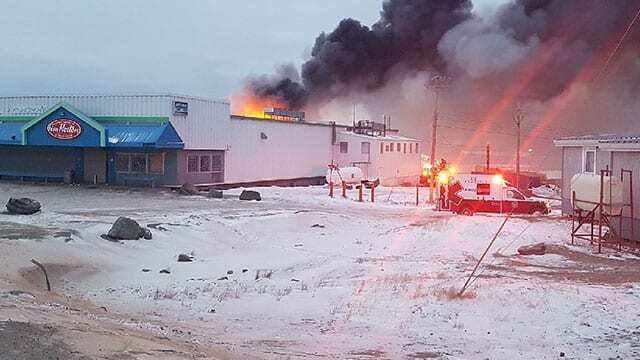 The North West Company warehouse is “a total loss” after a fire ravaged the building in Iqaluit early Thursday. The blaze also damaged its adjoining Northmart store and sales area, the company said in a news release. “All staff working in the building were safely evacuated,” the company added. No injuries were reported as firefighters continued to put out the flames in the Nunavut capital. The fire at the rear of the building sparked the evacuation of a nearby seniors’ residence and kept a school closed. Black smoke could be seen billowing over the store, which is also home to a small Tim Hortons coffee outlet. Alex Yeo, North West’s Canadian retail president, was onsite in Iqaluit. He said the chain was working to distribute groceries and water through four convenience stores it owns and operates in the city. And, he said, they might be able to repurpose some others buildings in town into makeshift stores. Yeo said North West would co-operate with its competitor – Arctic Ventures – to make sure it had sufficient groceries to supply the community’s needs. He said the property damage would be covered by insurance. But North West did not provide a financial damage estimate or indicate how many people were out of work. Meanwhile, the city said it had enacted its emergency plan. Acting Mayor Kyle Sheppard praised firefighters who had been at the scene for about 12 hours. He also thanked city and territorial staff for working together to keep citizens informed and supplied. “Please refrain from hoarding food,” he said in a release. There would be no price gouging, Sheppard added. He said the Northmart warehouse had been demolished and the main area was being inspected to determine the state of the building. Seniors who were evacuated would spend the night in hotels. Red Cross staff in Iqaluit were also pitching in. 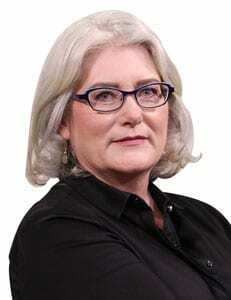 Sheppard said firefighting reinforcements were coming from other parts of Nunavut. “The office of the fire marshall and the airport fire department have joined the response to provide assistance,” he said.